Podcasts fill the silence between serious obligations -- commutes, chores, downtime. But they’re more than just distractions. At their best, recorded conversations between educated professionals can offer guidance and support that can be carried back to the office. Laura Pasquini, a lecturer in the department of learning technologies at the University of North Texas and a researcher in the digital learning and social media research group at Royal Roads University, has spent the last six months documenting the growth of podcasts created by and for the higher education community. Her Higher Ed Podcast Project  collects audio content from across the higher ed sector. Some podcasts, like Arizona State University’s “Instruction by Design,” circumvent the challenges of aligning schedules for faculty development sessions. Others grew organically out of social media interactions. 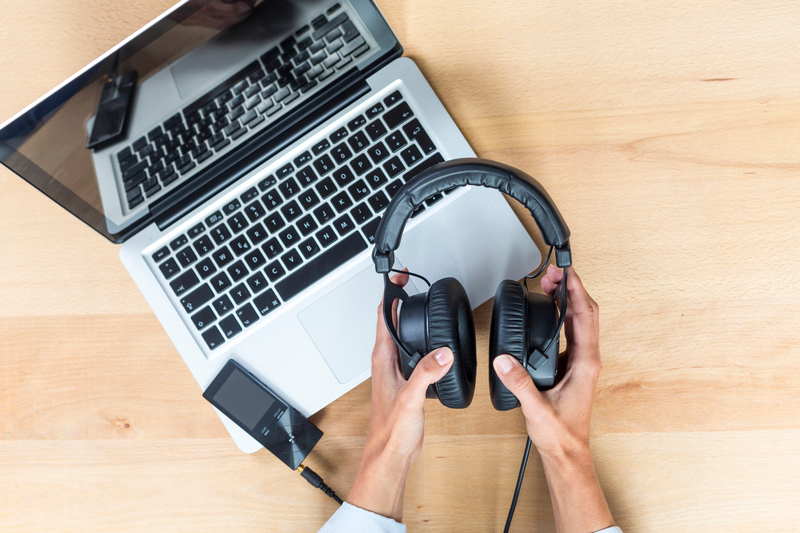 Pasquini’s full list  of higher education podcasts covers every imaginable topic. “Inside Digital Learning” picked out a few that might be relevant to you. We also asked the hosts of each to describe their podcasts in five words or fewer. Hosted by: Jim Cooper, president and CEO of Maplesoft, a company that works on STEM-focused solutions for online education. Frequency: Sporadic -- nine episodes in fall 2017, two thus far in 2018. The plan is for new episodes every other week. Description: Cooper presides over conversations with education technology experts -- both K-12 and higher ed -- about the future of their fields. Standout Episode: "Digital Assessment " with Mark Schneider, professor of mathematics at the Northern Alberta Institute of Technology. Hosted by: Steven Crawford, Jinnette Senecal, Celia Coochwytewa and Aaron Kraft -- instructional designers at Arizona State University. Description: Conversations about pedagogical practices and the potential benefits of instructional design offer a low-stakes alternative to the dreaded “faculty development” training session. Resources: Links to additional materials. Listen: Soundcloud , iTunes , Google Play . Follow: Website , Twitter . Hosted by: Josie Ahlquist, research associate and leadership instructor at Florida State University. Description: Most of the podcasts in this guide are geared toward the classroom. This one takes a broader view by examining the shifting technological landscape from an administrator’s perspective. Standout Episode: “Melissa Woo, Social Higher Ed CIO” -- featuring thoughts on technology and people from a chief information officer and president of information technology at Stony Brook University. Listen: iTunes , Stitcher , Google Play . Hosted by: Derek Bruff, director of the center for teaching and a senior lecturer of mathematics at Vanderbilt University. Description: Consider new ways to engage students with the help of educators, experts and even students themselves. Standout Episode: "Derek Price, Terrell Taylor and Kyle Romero " -- graduate students whose podcast on video gaming is a training ground of sorts for their future work as educators. Listen: iTunes , Soundcloud . Follow: Twitter , email . Hosted by: Katie Linder, research director at Oregon State University Ecampus. Description: Each episode features an interview with a higher education professional who offers insights on an aspect of the research world, from methods and strategies to applications and impacts. Resources: Show notes and transcripts, episode guide, suggestion form for guests and topics. Listen: iTunes , Soundcloud , Stitcher , PlayerFM . Hosted by: Bonni Stachowiak, director of teaching excellence and digital pedagogy at Vanguard University of Southern California. Description: Productivity and effectiveness are the key buzzwords that drive this series, which features interviews with faculty members trying new ways to engage students. They don’t always succeed, but they always reflect. Standout episode: “Creating Immersive Learning Experiences in Online Courses ,” with special guest Ric Montelongo, assistant professor at Sam Houston University. Resources: Quotes from the episode, links to additional resources. Listen: iTunes , Stitcher , Google Play , Android . Coming soon: The podcast celebrates its 200th episode April 12 with a group of educators discussing how their attitudes toward teaching have changed since the podcast launched in 2014. Hosted by: Tom Cavanagh, vice provost for digital learning, and Kelvin Thompson, director of the center for distributed learning, both from the University of Central Florida. Frequency: The first Monday of every month. Description: Sometimes episodes are centered around a news item, like last year’s inspector general audit of Western Governors University . Others tackle a broader topic like academic integrity. Sometimes they have guests; other times they’re on their own. The threads linking each episode are classroom innovation and specialty coffee. Standout episode: Episode 29 , “Designing Better Blended Learning” (with special guest Norm Vaughan, professor of education at Mount Royal University in Calgary, Canada). Resources: Show notes and transcripts , episode guide. Listen: iTunes , Google Play , Stitcher , TuneIn . Follow: Website , Twitter , subscribe to monthly newsletter . Hosted by: Representatives from the Southern New Hampshire University Sandbox Collaborative, a research and development lab for strategy and innovation. Description: This series from one of the nation’s most innovative online institutions tracks internal progress, drives strategy within the university, and encourages innovation among practitioners outside the institution as well. Listen: iTunes , Google Play, Website .